A memorable flying experience encompasses events right from entering the airport to exiting one at the destination. Long-haul flights can be strenuous and tricky. However, if you’re flying Business Class with some of the top airlines, the experience could be not only comfortable but also extremely memorable. Here’s a list of Top Ten Airlines for your dream Business Class Flight experience. British Airways Club World, the Business Class of British Airways, consistently delivers exactly what it promises – prompt and proficient service, great food and beverages, and high-end comfort. The Club World passengers have exclusively dedicated check-in counters and Fast Track security lanes. The airline also offers the First Check-In options to all its BA Executive Club Gold Cardholders. This airline offers the world’s first “fully lie-flat double bed in the air” in their business class flights. This unique feature is now available on flights between Doha and London, and Paris and New York, and is said to soon be available on every single Qatar Airways Boeing 777-300ER and Airbus A350 by the end of 2018. This undoubtedly makes Qatar Airways the topmost name in business class flights. Qatar’s business class cabin, called Qsuite, comes with the facility of combining neighboring seats, in order to transform them into a double bed. Each QSuite also has a privacy door and movable partitions, which makes them ideal for all kinds of passengers, from a four-people family to honeymoon couples to solitary travellers wishing to travel undisturbed. The high-end privileges also include a “do not disturb” button. Flying Business Class on Emirates Boeing 777-300ER gives flyers an altogether amazing travel experience. The seats are wide, spacious and come with personal 23-inch movie screen having a touchscreen controller and an HDMI port that allows direct streaming of content from one’s personal devices. Each seat also comes with an in-seat mini-bar. Their A380 Onboard Lounges are a plush sight to behold! Flying business class in Business Studios on Etihad’s Business class flights, A380s and 787 Dreamliner is an experience of a lifetime. The flights offer unparalleled space, comfort and practical functionality. For every long-haul flight, Business Studio seats recline into a fully flat bed, with adult length comforters, pillows, adjustable back support, headrest and cushion firmness. The cabins also have direct aisle access and spacious storage. SkyPriority is Air France’s first class and business class service, offering exclusive check-in area, Interactive kiosks and an exclusively available-on-request Air France staff to accompany a passenger through the airport. Business class flying is extremely smooth and highly individualized experience with Air France. Seats on the Business cabin of Air France can transform into a spacious bed within seconds. The cabins are shell shaped to preserve one’s personal space. Qantas Business Class offers chauffeur driven complimentary pickup service for its flyers on certain eligible flights. Business class passengers can check in online and select their own seat 24 hours before the flight. There are premium facilities for printing one’s own boarding pass, an Express Path Immigration, and premium boarding lanes. The Business Lounge is a plush space on Qantas’ Business class flights, providing luxury dinners. On board, the Marc Newson designed Skybed is the business class seat, fully convertible to a two-metre, fully-flat bed. Qantas has an onboard business class lounge and premium services. Onboard KLM, World Business Class, designed by a certain famous Dutch designer, gives its passengers an extraordinary, at home, float in comfort experience in their fully-flat, 180 degrees reclinable seats, having in-seat power and privacy canopy and personal 17-inch screens. KLM Business Class, Flying Blue Gold, Platinum and SkyTeam Elite Plus flyers are given several first class offers and premium services under the SkyPriority program, which brings priority Check-in, baggage drop off, security checks, customs, boarding and baggage collection. This airline has the widest range of Airbus and business class Flights each coming with different Business Class cabins that are convertible to fully flat beds to facilitate uninterrupted sleep. Singapore Airlines also offers its Business Class flyers a unique facility called the “Book the Cook”, a meal reservation service. Virgin’s Upper Class is a premium space with the Clubhouse Lounge that is fun and gives you the opportunity to relax with luxurious food. They offer fully flat convertible seats with the perfect privacy besides direct aisle access. Virgin also offers a chauffeur driven car service, which will take you to and from the airport in style. The airline offers Business Class seats that are reverse herringbone structures, fully-flat and with direct aisle access. Cathay Pacific business class offer is almost a “no frills” experience which comes with a comfortable, productive, long-haul experience, priority check-in, boarding, premium lounge access, and exclusive business cabins with fully flat beds for great sleep, fine dining and prompt onboard services. 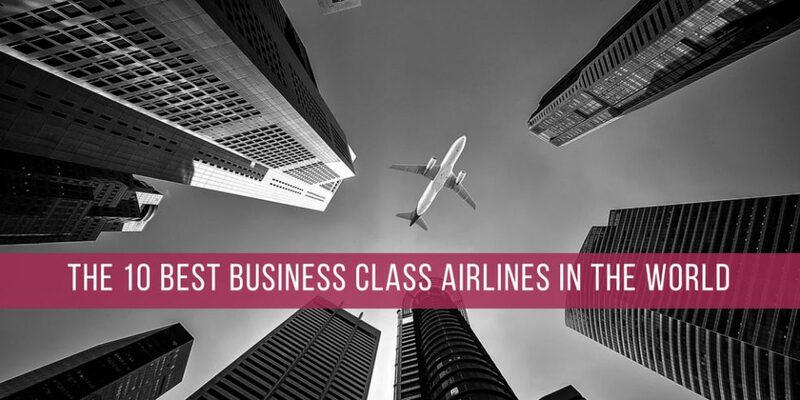 To book the cheapest and most ideal long-haul business class ticket, visit businessclassflights.travel We consistently offer all the latest and best business class offers and bring you the best business class flight booking facilities for a deeply satisfying Business Class travel experience.